From the Root. Always Fresh. Always Italian. Where is my Lot Number? 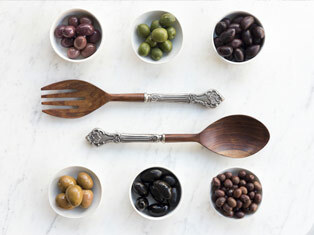 You wouldn't buy old produce - so why would you buy outdated olive oil? Just like your fruits and veggies, EVOO is best when fresh - but most brands simply provide an expiration date. Bellucci is different. Why LIVE FROM THE ROOT? We know that where we come from shapes our future - which is why we provide complete transparency into the source of your food. In fact, every Bellucci bottle can be easily traced to its roots in rural Italy. Industrial producers have done their best to simulate the taste of Italian EVOO - but we know that the best EVOO still comes from trees lovingly tended by hand. In the Italian countryside, olive cultivation happens on small-scale farms where preserving the integrity of the land is a family commitment, and traditional practices are handed down through the generations. We live from the root. It's an expression which perfectly describes our values and goals - from maintaining our humble beginnings as a cooperatively owned business, to ensuring that every item we make is easily traced back to its birthplace. 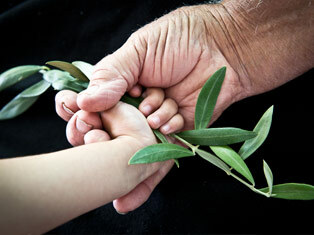 Italy is our home, and we all have a hand in nurturing the land. We view ourselves as stewards of the earth, and we want to create a better future - which is why we continue to practice small-scale farming. It's more sustainable, and helps maintain the health and integrity of our countryside. Italians pride ourselves on our ability to savor the good things in life - and we're passionate about our food! All of our recipes come from the heart - and their rich aromas and flavors will leave you feeling nourished in body and soul.